This is the TV special that Australian fans were waiting for. 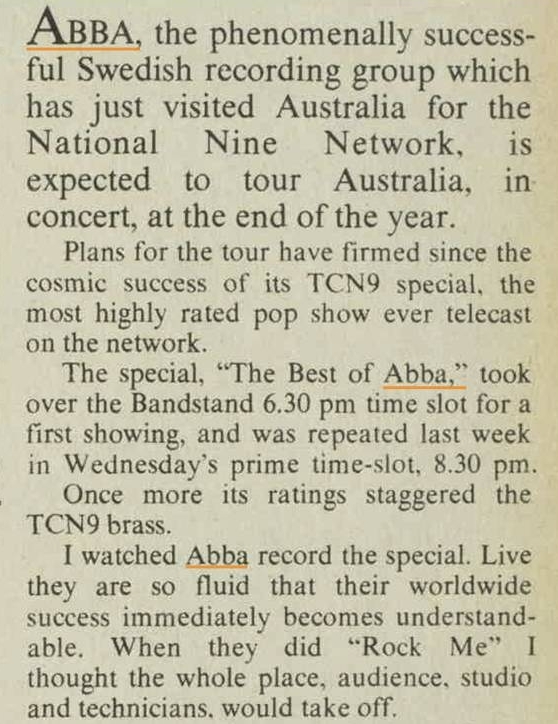 It was a Bandstand TV Special and is sometimes referred to as the "Bandstand Special" (because it was an off-shoot of the Bandstand programme) although its Australian title was The Best of ABBA. This is the programme that drew more Australian TV viewers than the moon landing in 1969 pulling in 58% of the viewing public. 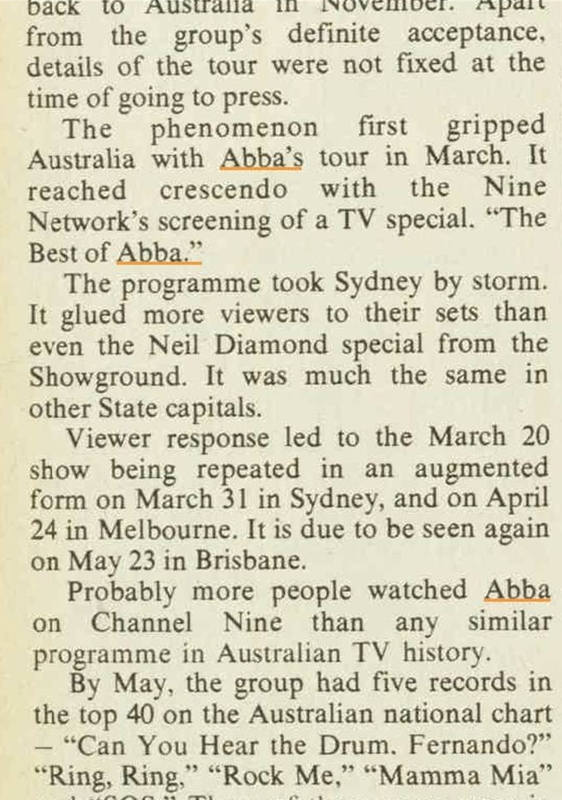 Filmed on 11 and 12 March 1976 at the Channel 9 Studios in Artamon, Sydney, it shows ABBA in the studio performing all the songs below including Tropical Loveland (which was substituted for - but played over - footage of ABBA on the Hawkesbury River for ABBA in Australia). ABBA performed in front of a studio audience. A competition was run in the Daily Mirror newspaper to win a double pass to the filming. The audience were just back from the stage and were present throughout on wooden benches which ran upwards in rows. Agnetha must have just asked "the kids" to step forward for Waterloo the audience was merely seated ten feet in front of them. Due to local content regulations, ABBA were backed by a local band (though the entire performance was mimed to ABBA's studio recordings). Guest appearance by Lucky Starr performing two songs (Lucky Starr first made the song I've Been Everywhere famous in 1962). This segment was in the show due to local content laws - they had to have some local performer in the show. 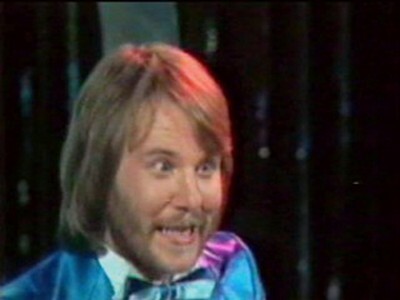 When Björn filmed the introduction to Lucky Star, he (Lucky Star) wasn't even in the studio at the time. Björn kept stuffing it up and calling him "Happy Star" which is why you hear a huge round of applause for Lucky Star - it was because Bjorn finally got his name right! The interview between Björn, Benny and Lucky Star was filmed at a different time. Closing credits - medley of songs played above. A version of The Best of ABBA was repackaged to be sold overseas and was known as ABBA in Australia which had several differences (see separate entry). A performance of Dancing Queen was recorded for use later in the year for use with the planned next single - and was filmed under strict security at the same time as The Best of ABBA. I strongly suspect the filming of these songs from The Best of ABBA,: I Do, I Do, I Do, I Do, I Do, Rock Me, Honey Honey and Fernando were filmed on the same day as Dancing Queen as Agnetha's eyes look very different in these performances to the other ones (more blue eyeshadow!). 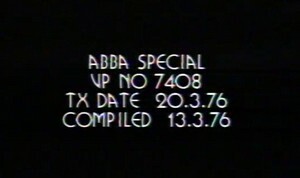 The end credits for The Best of ABBA showed snippets of each song that had been performed while the credits ran. Click here for two versions where one has clapping just over the first song, while the second version is shorter and has clapping throughout. 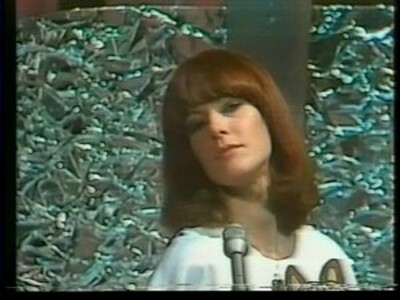 This second one might be from the cut-down half-hour version of the show that was shown in 1976. Frida turning the wrong way in Ring Ring at the end of the first chorus - they are supposed to turn the same way but she turns in an opposite direction to Agnetha - but carries on so you'd never know. Frida fluffing her lines in Ring Ring at "won't you hear me cry and you will know that my heart is breaking." She knows she's made a mistake and plays with the camera! Thanks to ABBAMAIL (no longer online), Jun Seo, Alex Jones, Ian Cole, Jan Bach, Petr Mlejnek, Jozsef, Alexandre Carvalho, Roxanne Dickson, Erik Liebstaedter, Ken Griffin, Judy Sawyer, Robin Andersson, Jozsef, Lendy, Sam Shervz, Neil Barber, Philippe Dupont, Peter Kennedy and Philip Muytjens.